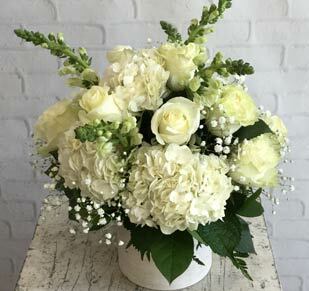 Let them know that you are thinking of them during this time of grief with funeral flowers for the service or sympathy flowers for the home. Shop online, contact us at (847) 255-4680, or visit our multiple locations in Chicago, Arlington Heights, and Elmhurst, IL. 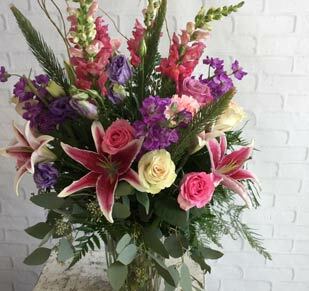 Send your condolences with uplifting funeral and sympathy flowers from the premier Chicago florists. In life’s most turbulent times, it is customary to gift loved ones flowers to mend the pain of grief. 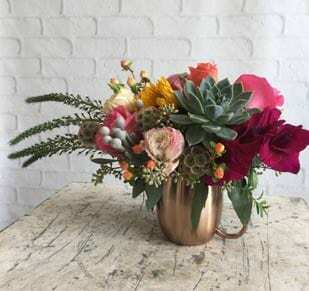 In the event of death, it is important to comfort the living with flowers by personalizing designs according to the personality, hobby, or occupation of the dearly departed for a funeral or memorial service. Chicagoland cremation flowers, casket sprays, tributes, houseplants, and more are available now online or in-store. 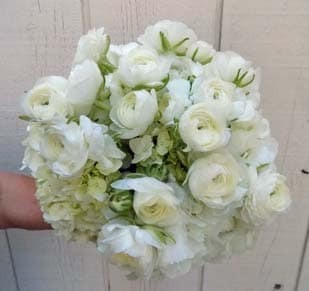 Our trusted flower delivery service will ensure your flowers arrive safely in Chicago and dozens of Chicagoland suburbs including Arlington Heights, Melrose Park, Westchester, Oakbrook Terrace, Elk Grove, Rolling Meadows, Barrington, Deerfield, Des Plaines, Rosemont, Glenview, Bloomingdale, Carol Stream, Elburn, Elmhurst, Forest Park, Franklin Park, Geneva, Glen Ellyn, Glendale Heights, Huntley, Itasca, Kaneville, La Fox, Lombard, and more!